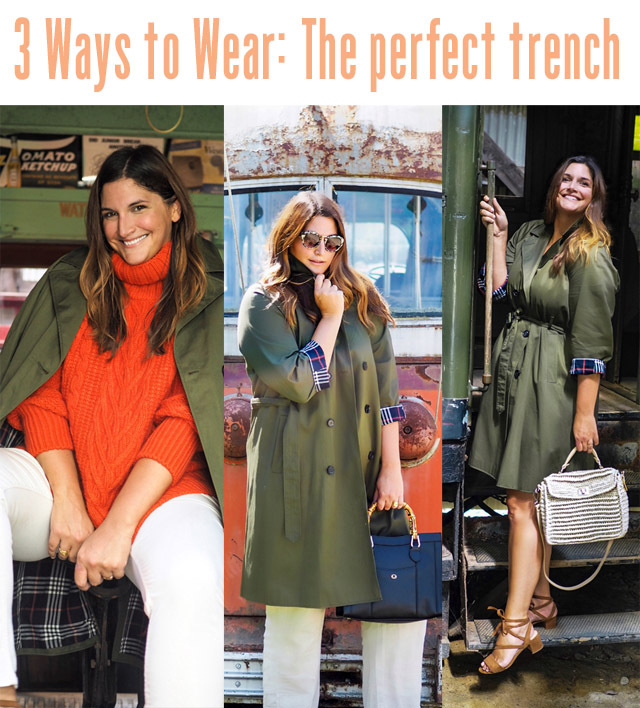 The Three Season Trench Coat: Three seasons, three ways to wear! It's that time of year again- the change in season. Well, not just any season. 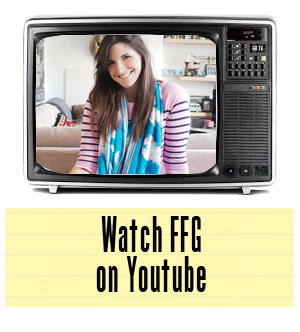 We're entering into the time of pumpkin spice, big comfy layers and the ramble up to Christmas. It's only my favourite time of year. But, for retailers, it's the time of year that the big push is on for convincing you that this trend and that trend is the one you need to be buying into. Don't believe the hype. While trends are fun, I'm all about the classics, and am leaning ever more into the idea that a purchase should be forever, not just one season. That doesn't mean, however, that you have to put yourself into debt to achieve such a wardrobe update right here and right now. In fact, my one classic piece I'm loving above all else, so far for autumn, is a trench coat that costs £79 / $128. And this is a trench coat that will not only see you through autumn, but will actually work for every season thereafter. Just a to prove a point, I'm showing you three ways to wear: autumn, winter and spring. Trust me when I say that this will be a piece you'll keep forever. 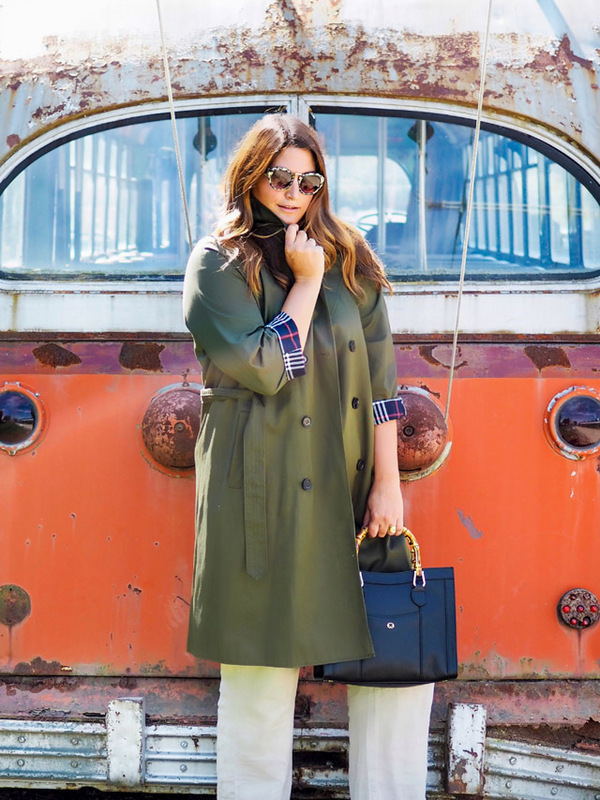 For autumn, this classic trench can truly be used as it was always intended to be- as a light warming layer. Worn over casual jeans and a t-shirt, or even linen pants and a light sweater (as seen below), this is an easy piece to be worn any which way! Turn that collar up and run, lady! For winter, layer this classic trench over a super chunky knit. The fabric is light enough to allow you some breathing room when you feel like rocking a knit that seems to come with its own heating system. Worn over the shoulder (as below) or with arms in the sleeves, this trench is perfect for layering as it has oversized arms. Does anyone else find winter coats ridiculous in that they allow no room for arm growth due to bulky knits? Not a problem with this trench. Give it your biggest knit and it will still welcome your arms like old friends. Just because it's spring, doesn't mean you need to abandon the trench coat in the heat. 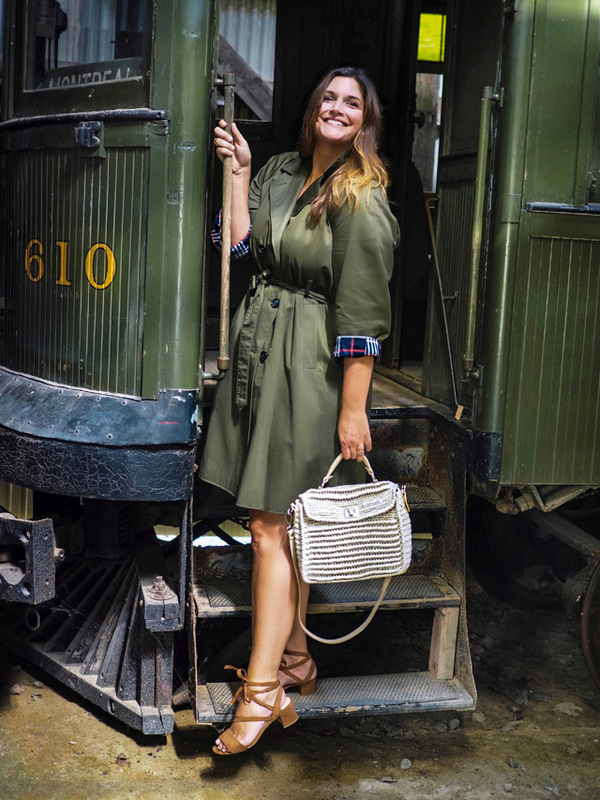 Call me crazy but my favourite way to wear a trench is as a dress. It's the easiest thing in the world to wear when you need to run. Dress it up with heels and throw a few broaches on the lapel to really give it some flare. Or wear on its own and strut your stuff. Whatever you do, however, don't forget to check and make sure the open flap in the back is long enough to cover all your assets. Or, use pins to keep it together! Just a word of warning... yes, I have learned the hard way! Written in collaboration with Marks & Spencer.